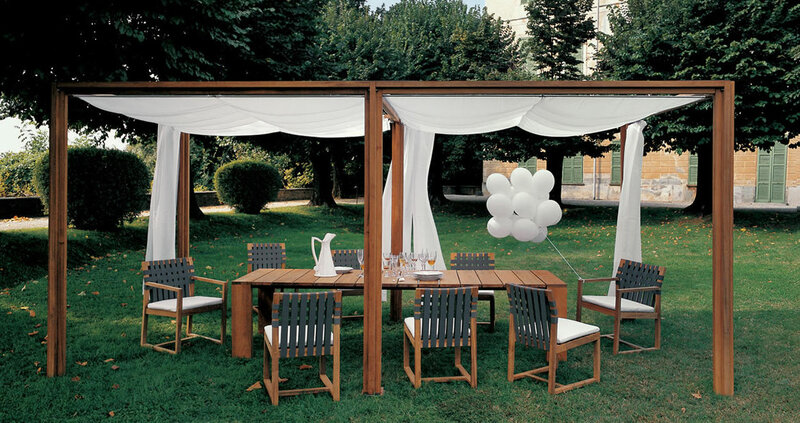 Made with massive teak, OASIS gazebo is perfect for dining, living or relax situations. 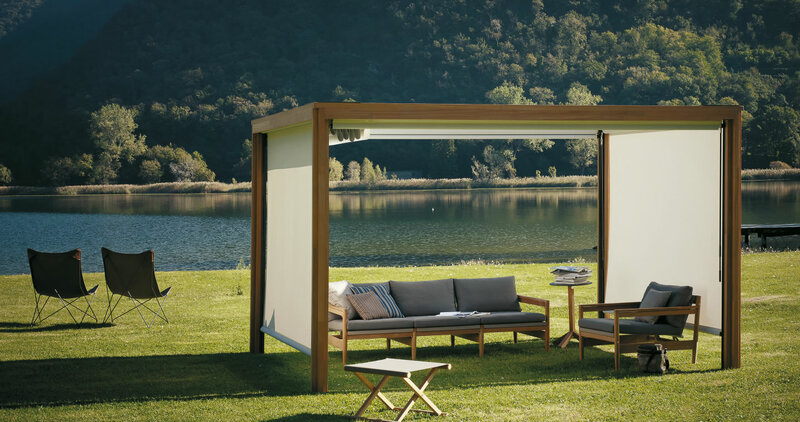 OASIS Gazebo is provided with a cieling and it can be completed with side technical curtains in pearl grey colour, with a manual lift system that allows to turn them up and down, individually. Each technical curtain covers one side of the gazebo. 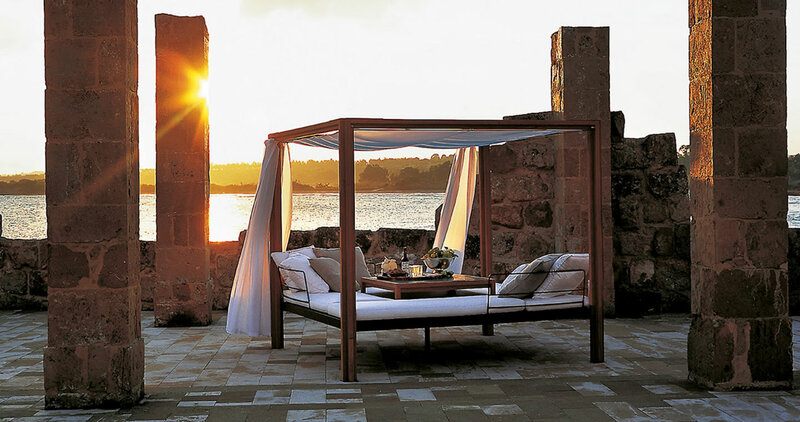 The deck, completely in teak, available only for the gazebo OASIS 110 or 210 (300x300cm), where setting comfortable cushions, offers a very pleasant stay. Metal backrest can be mounted on the deck for more comfort. For your safety, especially in windy areas, the gazebos must be fixed to a concrete ground using the appropriate ground screws, included in the assembly pack. In case of windy gusts, it is also reccomended to keep the curtains and the ceiling closed.